Beavers are a part of Canada. The Fur trade wouldn't have existed without them, and quite possibly Canada would be a very different place without this little guy. Beavers are found on EVERY province of Canada. They were once almost extinct, but Canada put a conservation effort in and saved them. They have bucked teeth so they can chew wood underwater and not get water in their mouths! 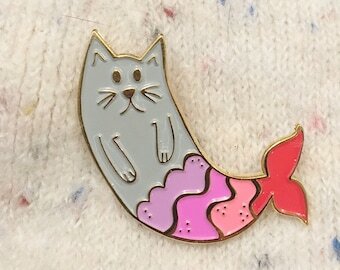 How's that for design? Measures 1 3/8 inches! Gold metal plating with a rich brown and light brown enamel body. The gold is very elegant and pretty, then buffed to perfection in a cloisonné technique. 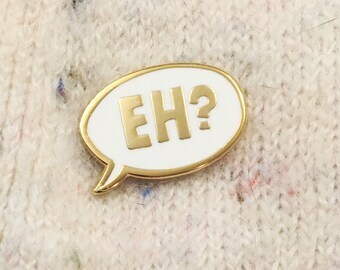 Nice flair for guys, girls, and anyone who loves Canada, animals, and history. 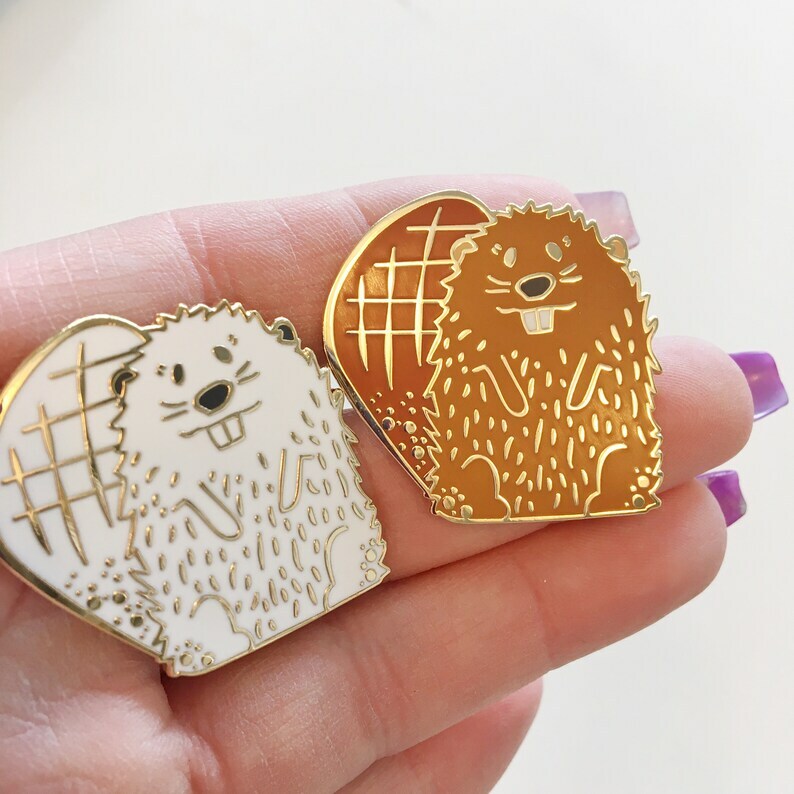 No beavers were harmed in the making of this pin. He is meant to celebrate the life and history of beavers. We do not condone animal cruelty, and do not agree with drastic measures of Canada's past that include cruelty to animals or people.